Trading profitably is not everyone’s cup of tea. You might have often heard that more than 90% of traders are the losers in the stock market. But, why is it that some people get success in trading the stocks and why is it that some people fail? Is it because of the luck factor that determines if you are successful or not in making money from the market? What is one sure-way that you can rely on to your lasting success in trading? Is it the system or strategy that you as a trader use which determines your success? You would say that it is the system or strategy that ultimately determines if you’ll come out winning from the stock market. And technically, most of the research-based systems or strategies that you come across can make you money if you applied it correctly. Then why most of the traders fail? In general, all most all day/short-term traders buy or sell stocks based on technical analysis. If you’re aware of the technical studies, you’ll see that there are hundreds of technical indicators or oscillators out there in the arsenal of technical analytics. Sometimes you’ll wonder which one is best suited you for success in trading. For your guidance, if are a short-term or day trader you need to adapt technical analysis in your system of trading. And likewise, for long-term trading or investing in stocks, technical analysis alone can’t make you truly successful. In addition, you need to analyze the fundamental aspects of the underlying stocks. And when it comes to technical analysis, some basic indicators such as RSI, MACD, Stochastic, Bollinger Band and so on are globally accepted as the most reliable ones among the day /short-term traders. If you pay close attention, you’ll notice that all the effective systems or strategies out there in the market will show you how their system has work in the past base on historical data and back-testing. Almost all the cases you’ll find a Disclaimer Clause at the bottom of the page that does not guarantee future earnings. But why is this Disclaimer Clause? The disclaimer clause is incorporated in it because they know that there are certain elements which they cannot control. And that is Human Emotions. Delayed entry into and exit from the market are governed by human emotions. Human emotions are always the key to either success or failure in any business. And it is no difference when trading in stocks too. Read all the books about trading that you want, buy all the successful systems that you want. If you can’t control your emotions, you can’t get success in trading in the stock market. What are the key emotions that a trader normally faces in trading? In the stock market, there are two main emotions that every trader will experience; GREED and FEAR. When this emotion appears it is not how you eliminate it but rather how you act on it. There are natural emotions that can’t be eliminated or controlled effectively. This emotion forces us to action, thus how we act on it will determine the outcome. Like anger, when we are angry at someone, its either we say something nasty or we can just kick a bucket or we can just dive into a pool of water. Whichever action that we take, it produces a different outcome or result. How can you handle your Emotions? When you end up seeing two or more consecutive losses in trading, we start doubting the system. When this happens you are at the state of fear, you fear losing more of your money and thus you begin to doubt that whether the system is actually working. While no system is flawless, meaning no system will guarantee that you will make money all the time. The system sellers would say that you would be able to make money consistently provided you follow their system to the dot. On the other hand, when you begin to see two or more consecutive gains, you begin to feel on top of the world. You begin to feel that you can start making good money from the market. And then start tweaking the system or maybe putting more money in the market to leverage your earnings. You maybe begin to take on more positions, which ultimately make you deviate from the system which you were using. This is when greed has already stepped in to rule your thoughts. There is saying ‘The System is only as good as the person using it. So if you don’t follow the system strictly,chances are that most of the time you would be making losses. Sometimes you’ll gain occasionally if you’re lucky enough. But you would ultimately fail. And to follow the system sincerely requires discipline. The discipline to act on your fear and greed when it sets in will determine how well you do it in the market. Discipline is the ultimate KEY. You must have the discipline for garnering success in the market. You should take profits the moment target hits the desired level. When greed sets in, the market lures you to stay invested for higher profits. When fear sets in you tend to get rid of a long or short position in stocks prematurely. Later on you regret when you see the market continues to moving higher or lower. 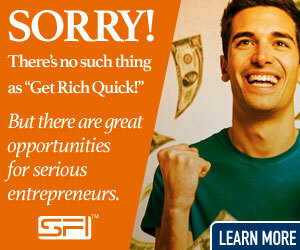 Thus you miss out a big opportunity of getting handsome profits. No matter how good the system is, the only sure way to lasting success in the market depend on trading discipline. It requires to overcome your personal emotions to follow a particular system religiously. P.S. I had to stay away from blogging for several months due to my sickness. I am really sorry for that. Anyway if you like this post, please feel free to comment and give your feedback. I’ll really grateful to you.